How can you find a job that you are good at and enjoy? 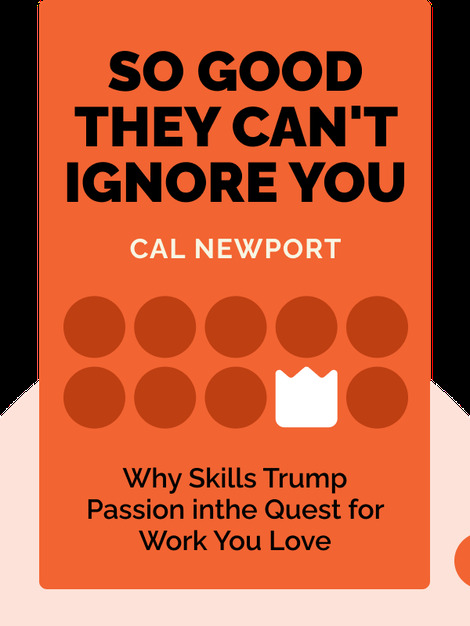 This book advocates the "craftsman mind-set" of patiently developing skills instead of the typical "follow-your-passion" advice, and offers practical solutions to acquiring and maintaining job satisfaction. 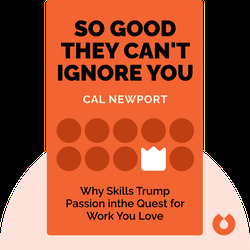 Cal Newport earned a PhD in computer science in 2009. He was a post-doctoral associate at MIT and was en route to becoming a professor when he learned how frustrating looking for an academic job could be. He wanted to stay in the United States for family reasons, but learned that it might mean starting over from scratch. This book is about the answers he found to the question, how do you end up loving what you do?